We can think nothing, think right, or think wrong. If we are moving along thinking nothing, with no plan, we will be circling, seeing the same scenery we’ve always seen. Thinking wrong is: worrying, expecting the worst, belittling or condemning ourselves, judging others or being negative and morose. These will propel us swiftly down the path of despair. Thinking right moves us forward. We are expecting something good to happen; we are focused on our dreams, what we want to happen, and who we want to be. 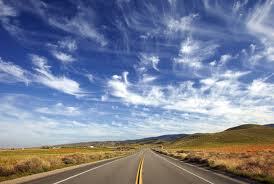 We will travel that road, relishing in the scenery along the way and the daily blessings that cross our path. What do I do if I discover I am rolling down the road in the wrong direction? Make a U-turn and change course. It only takes being aware of where our thoughts are taking us. 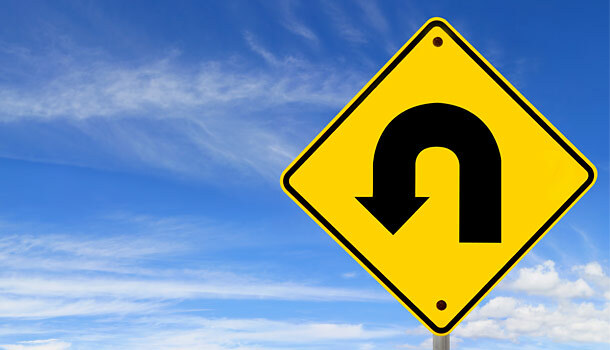 If it is not where we want to go, make the first legal U-turn. Sometimes we must travel on until we can finally see a place to make that turn, or we may need to stop and ask for directions. Now that we are headed in the right direction, don’t forget to wave at other moving vehicles and enjoy the drive! Today’s Action: Let God give you His guidance as you think about these statements today. You can bring yourself down or pick your self up today. What will you do? Your life is directed by your thoughts, don’t ever forget that! Your thoughts are the steering wheel of your life. Where will you go today? That’s good – so true! Wow! This really hit home for me!! Thanks for listening to the great Iam. Thank you for reading, Gary. You made my day!